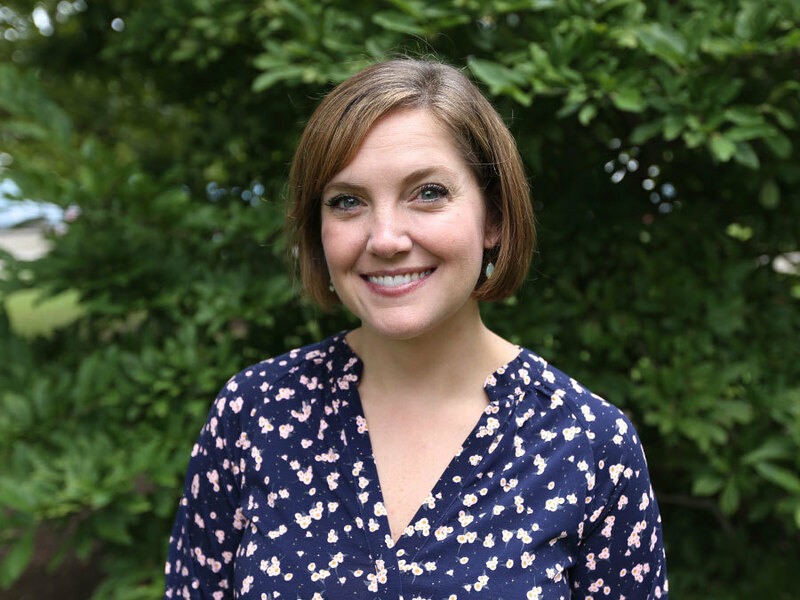 CINCINNATI -- Three years ago, Nicki Bruckmann found herself completely drained after years of working 60-hour work weeks and finalizing a divorce. When it was all said and done, the one thing she needed was a vacation. "I needed something that lit my soul on fire, really challenged me and made me feel human," said Bruckmann. "I just really felt at a loss." She craved something different than lounging on a beach for a week. The only catch was that she didn't want to go alone. That's when the 35-year-old came up with a solution to her problem: Start an adventure travel company for women. "All good ideas come from a bottle of wine," she joked. Within months, Bruckmann quit her job as a full-time financial advisor to become a full-time adventurer and founder of Explorer Chick Co . With a business background and help from social apps like Meetup and Facebook, the CEO launched her first company in 2014. The first trip she organized was to Cabarete, Dominican Republic, where she enlisted the help of a friend to bring two other female friends for the company's debut retreat. They swam, surfed, jumped off waterfalls and hiked. Bruckmann was ready for more. Over the years, Explorer Chick retreats have expanded to locations closer to home, including mountain biking in Utah, hiking in Tennessee's Smokey Mountains, backpacking in the Red River Gorge, white water rafting in West Virginia, rock climbing, ziplining and repelling. "It's not going to be soft, easy stuff, but things that are going to challenge you. You're going to end up dirty and bruised, but you're also going to feel alive." Bruckmann keeps the groups small -- typically around 10 participants per trip -- with women of all ages and skill levels so long as they're able to meet the physical demands. Most outings include gear and food depending on the trip. "When I first booked the trip, I'm looking at all the pictures on her website going...'Everyone looks 25, 30' and I'm going, 'Hmm. Am I going to fit in here or what? Because I'm definitely older than 30,'" said Theresa Lampe, 55, of Green Township. "That kind of made me a little bit uncomfortable at first, but everybody just blended and meshed and had a really good time." Lampe's first Explorer Chick experience was a backpacking trip to the Red River Gorge in 2015. An avid hiker and camper, Lampe had never backpacked until that weekend. "There's no pressure from the guys saying, 'You can't do this, or you can't do that.' It's very comfortable." She has since traveled with Explorer Chick to the Dominican Republic and West Virginia with a trip to Moab in the works for winter. "One woman posted in the Facebook group, 'I wish I would have known about this when I was younger. Now I'm 55 and too old to do all of this.' And I said, 'Heck no, you're not! I need some company!'" said Lampe. Melinda Taylor, 36, made a resolution to travel more this year. A friend invited her to join the Explorer Chick Facebook group in the spring, and since then has participated in a backpacking retreat at the Red River Gorge, a weekend hiking in Tennessee, whitewater rafting in West Virginia and is headed to the Dominican Republic in November. "After Red River Gorge, I was hooked. I signed up for everything I could financially and schedule-wise," said Taylor. "I'm just not comfortable to do it on my own, so having people who know what they're doing already in place takes all of the pressure off of you." Traditionally a male-focused industry, 2017 has started a change in conversation thanks to outdoor retailers and publications acknowledging gender gaps in their field. REI launched their Force of Nature campaign earlier this year, encouraging women to get outside and challenge stereotypes. Outside Magazine produced it's first women's issue in April which highlighted strong women outside across the world. 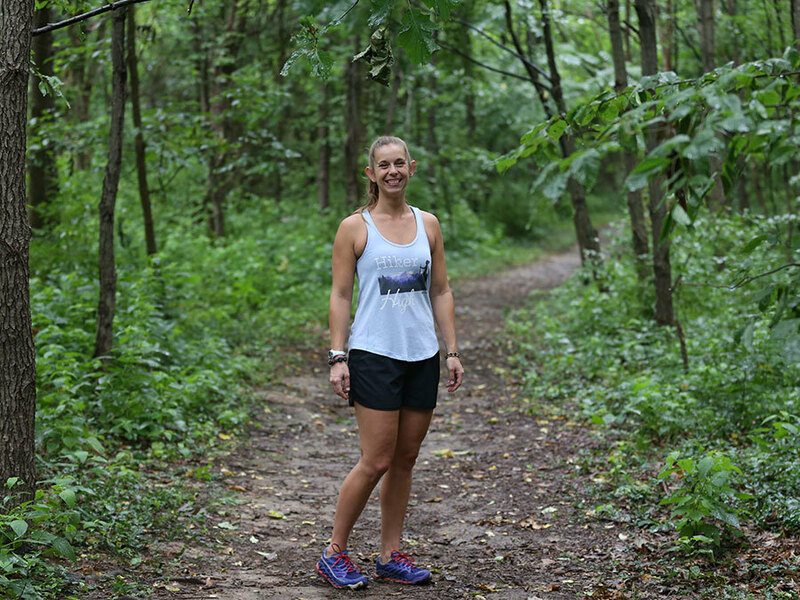 "When I first started the meetup groups here in Cincinnati, I had women coming out of the woodwork and they all expressed to me how difficult it is to find other women who are adventurous here. We do exist, but nobody talks about it," said Bruckmann. Outside of the Tri-State area, Bruckmann says Explorer Chick has drawn women from across the country, including West Virginia, Michigan, Texas and Washington, D.C. Her goal is to keep the majority of the trips Midwest focused to help put the region on the map for outdoor adventure. "I swear the outdoor industry thinks that Midwest women are a bunch of a soccer moms and they pay us no attention and that drives me mad," said Bruckmann. Her goal is to create a safe community and environment for women to mess up, fail, experiment, explore or more simply -- be outside. "I think our bodies are made to run, jump, play, explore," said Bruckmann. "I do my best thinking out here and I feel reconnected and rejuvenated. I feel alive and I feel human." Emily Maxwell is a photojournalist for WCPO.com. Follow on Twitter at @EmilyWCPO or see more from Wild Cincy on Instagram at @wildcincy .